This event is not currently being offered. We hope this series comes back at some point, it was a lot of fun!!! 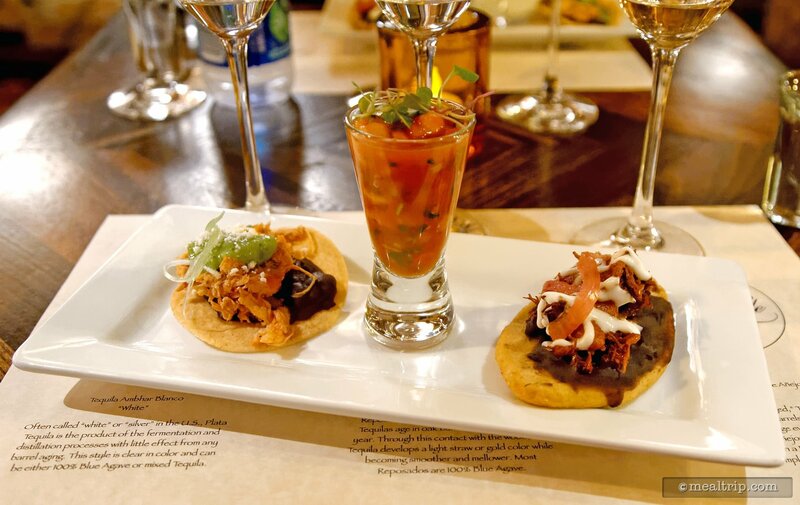 This exclusive gathering at La Cava del Tequila in Epcot's Mexico Pavilion is part of the new Epcot After Hours Wind Down series. Following Illuminations, four lounges around World Showplace will remain open for this hard-ticketed event. 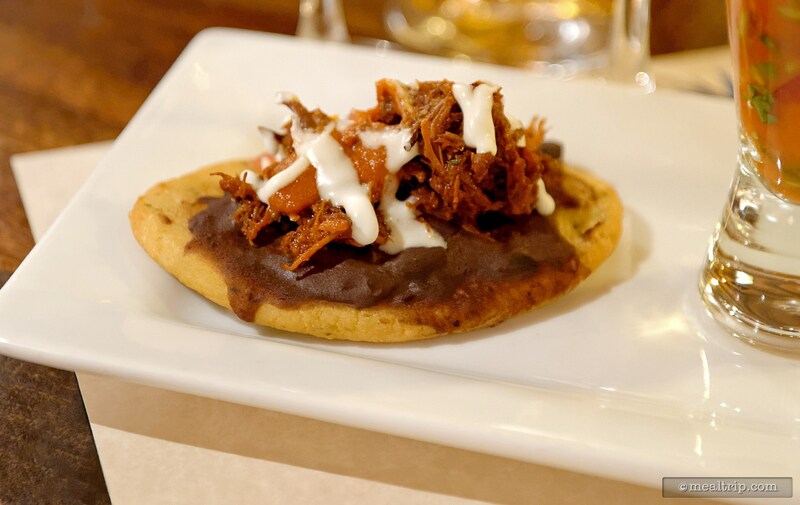 Costing $35 per person (not including tax and gratuity, no TIW discounts), the La Cava location may feature Acapulco-style Shrimp Cocktail and Tostadas paired with a Tequila or Margarita Flight. 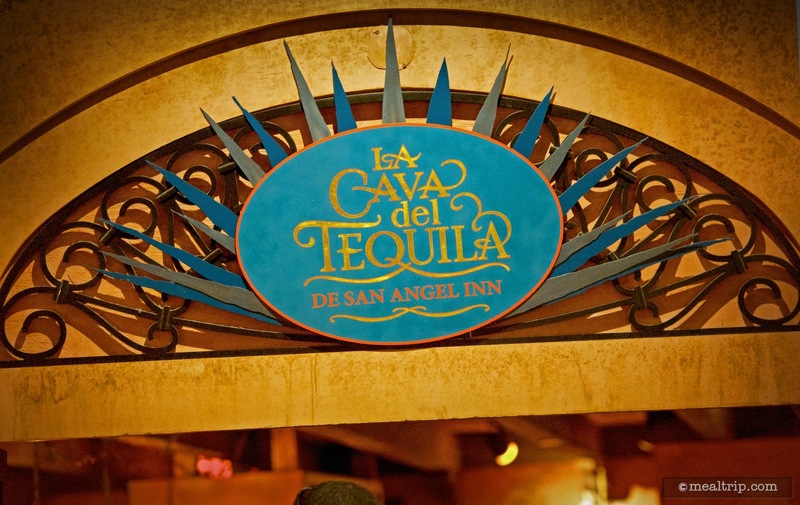 UPDATE : The folks at La Cava have mentioned that those under 21 are welcome, and will receive fruit smoothies instead of the tequila, however the cost is still $35 per person. We're not sure what the other lounge locations that are part of the Epcot After Hours series are doing, but it does appear that there are currently, no age restrictions listed on the Disney web site for these events. 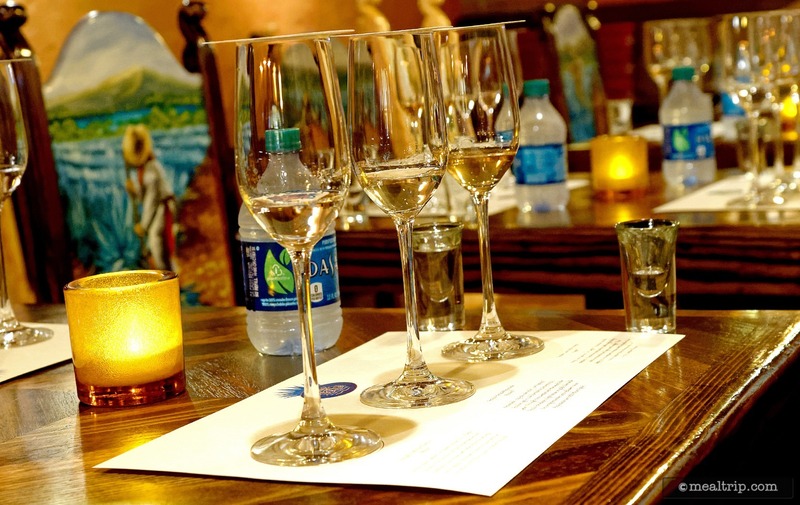 The Epcot, After Hours Wind Down, at La Cava del Tequila has the potential to be a great special event. Having gone to the very first night that this "Wind Down" event was offered, it's difficult to know how it might change over time. Historically, these things do get tweaked here and there, but my guess is, the format and offerings will stay very close to how they are now. Getting to see La Cava completely empty at the start of the event was a treat in and of itself, as this is one, often full location from noon to park close. The tables were pre-set with three glasses of tequila... Ambhar Blanco (white), Partida Reposado (rested), Casa Noble Anejo (aged), a shot of Mezcal, an even smaller shot of Vodka (which is used as a palate primer of sorts) and a bottle of water. 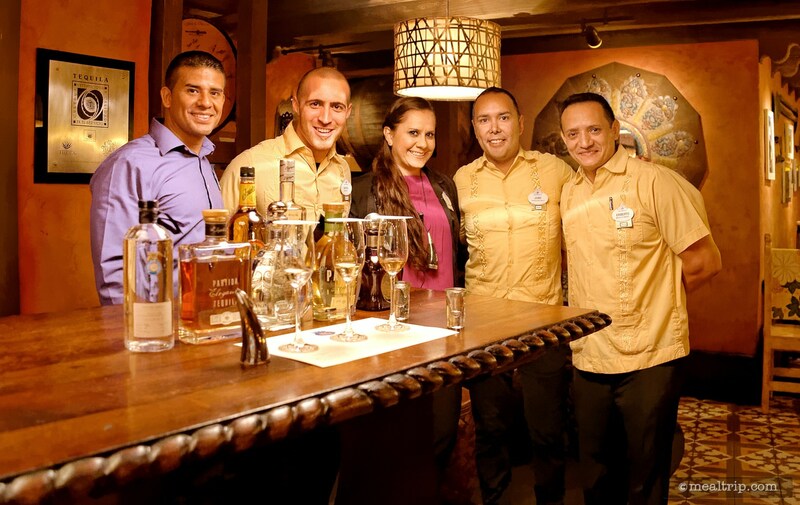 Much to my surprise, our guide at this first La Cava Wind-Down was none other than Hilda Castillo, San Angel Inn's tequila ambassador (you may know Hilda's name from many of the Tequila events at Epcot's Food and Wine Festival). An educational component about tequila was not expected, but was a very welcome addition. While it sounds like this will be a part of all the La Cava Wind Down events, Hilda will only do a couple nights each week. Guests were treated to a brief run down of how and where Tequila is made, accompanied by a rather large mural painted on the back of La Cava's wall that depicts the whole process. 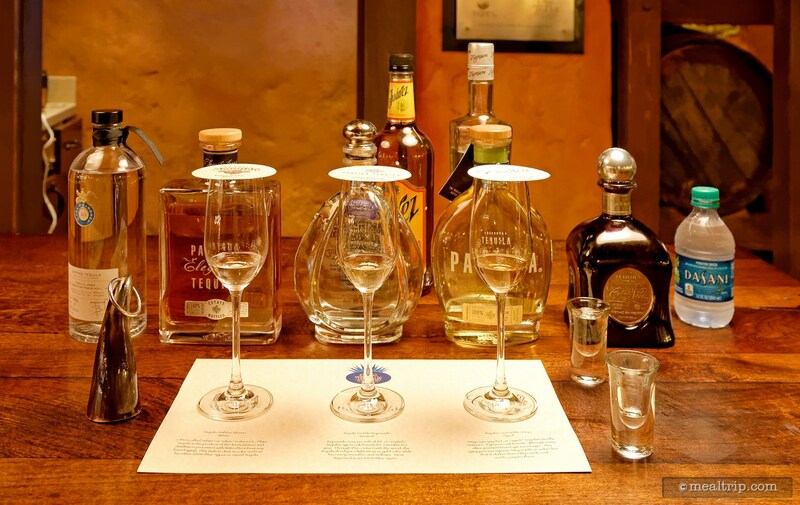 We then examined the different qualities that each of the white, rested, and aged Tequila samples in front of us exhibit, while sampling each along the way. The 30 minute presentation seemed just about the right length and was never dull. 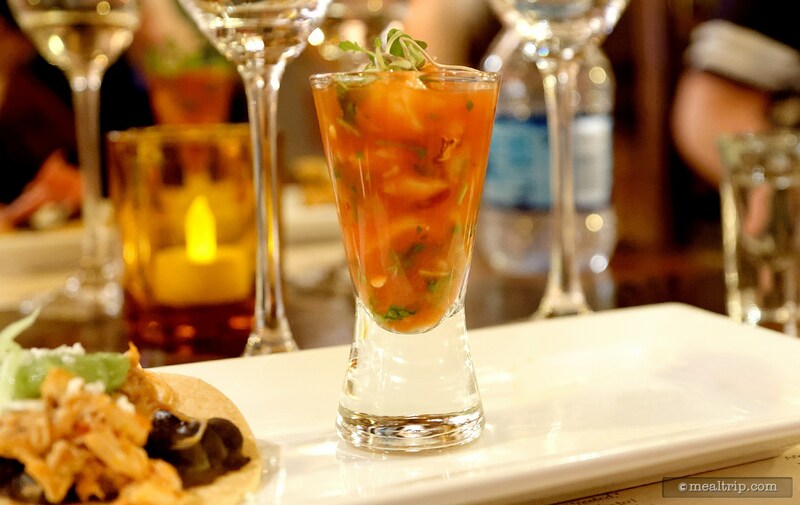 We were encouraged to save a bit of the Tequila for food paring, and when Hilda was finished, the chef brought out a trio plate of tasty morsels. 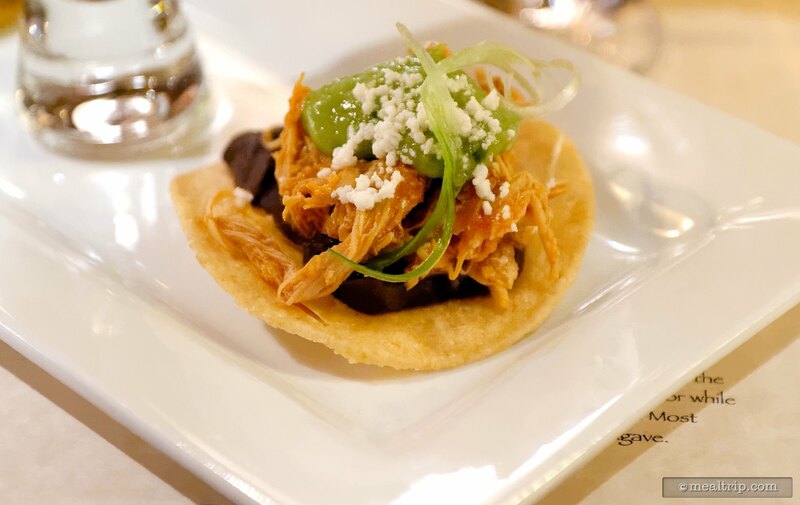 A Chicken Tostada, Pork Tostada, and a tall shot glass of La Cava's Acapulco-style shrimp cocktail. 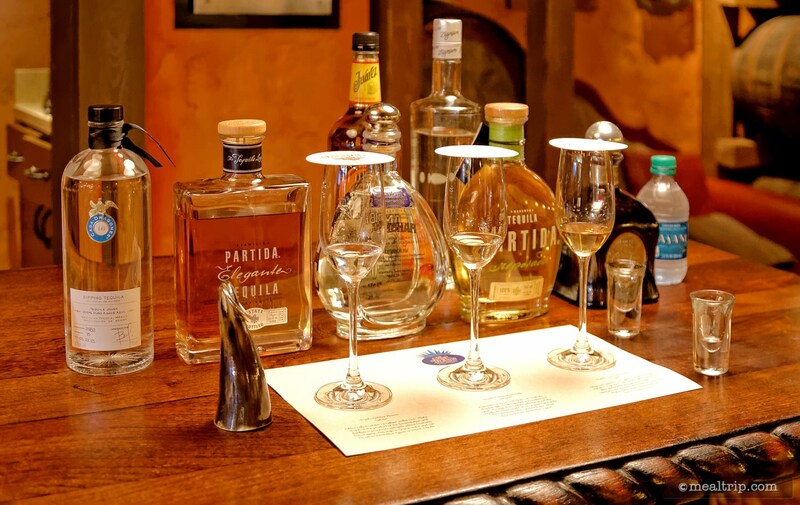 Just as with some wine tasting and pairings, the tequila that I enjoyed most when tasting, and the tequila that seemed to pair best with food, were two totally different tequilas. 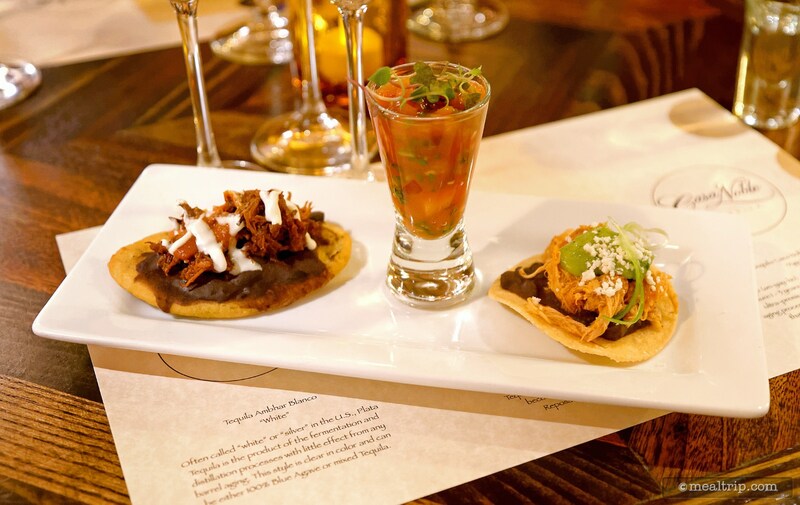 After the pairing, there was about an hour left, where the full Tequila and margarita menu was available for additional ordering (the $35 entrance fee included the three sample glasses of Tequila, the Mezcal, Vodka and water, along with the three item food plate only). 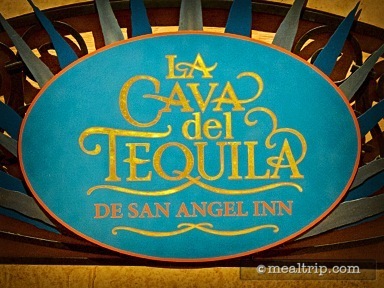 Unfortunately, none of the food items on La Cava's lounge menu were available... and I'm not really one that can drink too much without having some muchies to go with it. Hopefully in the future, they will at the very least, have some chips and salsa on hand. I was also curious to see what Epcot's World Showplace would look like at 11:00pm after the event with no guests walking around as I leisurely rambled out to my car... however Extra Magic Hours night was changed recently and so the park was still somewhat full. Which means this "exclusive" event might a bit more exclusive if you go on a non-Extra Magic Hours night. Still, La Cava is a very busy place, and having a "reserved seat" of sorts for 90 minutes, in a room full of adults, in the middle of a theme park, may just be worth the slight premium that is being charged for this event. Since you do have an hour's worth of "free time" after the presentation... having acces to the full food portion of the lounge menu, it would be even better! So hopefully more food items will be added in the future. However, if you were to take away Hilda's presentation and the "guided" portion of the event, I'm not so sure the $35 entrance fee would be justified. You can put a price on Tequila, but five minutes of one-on-one conversation with a tequila ambassador is priceless.